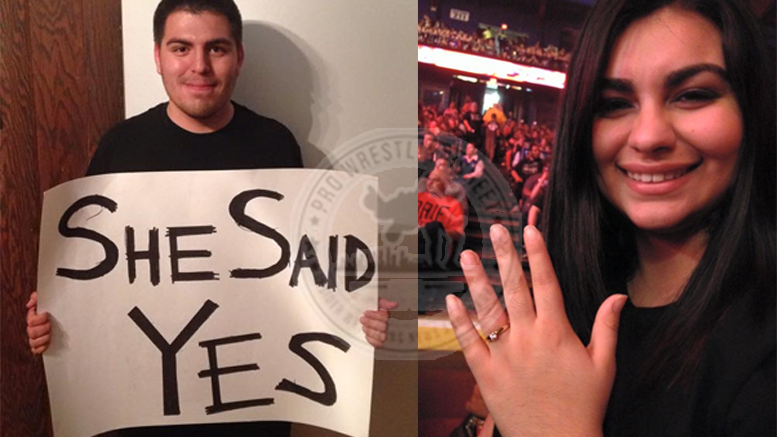 Carlos Espinoza tells Pro Wrestling Sheet he had been planning to pop the question for over a year and figured the perfect spot would be during a live taping of their favorite show. Espinoza says he stood in the aisle holding up his cardboard question when she returned from concession — and asked the people around him to help with a “Yes” chant — but never expected a major portion of the crowd to join in on the fun … let alone get called out by John Cena. 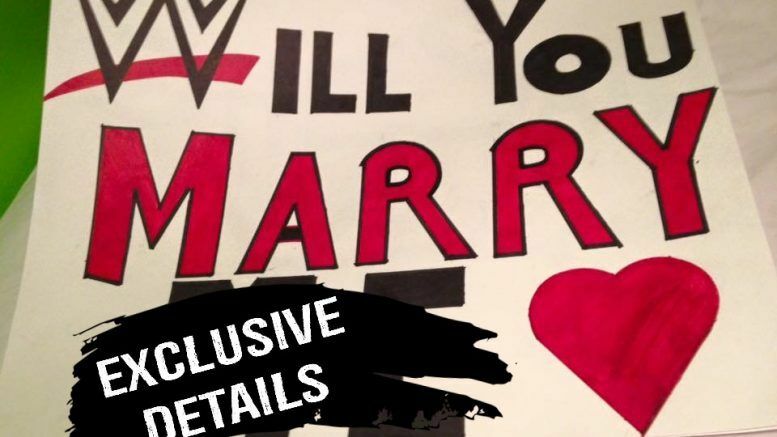 We’re told the couple had been planning to get married in 2017 — but since WWE asked them about a WrestleMania wedding after Monday Night RAW, they’ve become dedicated to achieving that goal. Carlos says the company took their info after the show and he’s hopeful they’ll help make it happen.